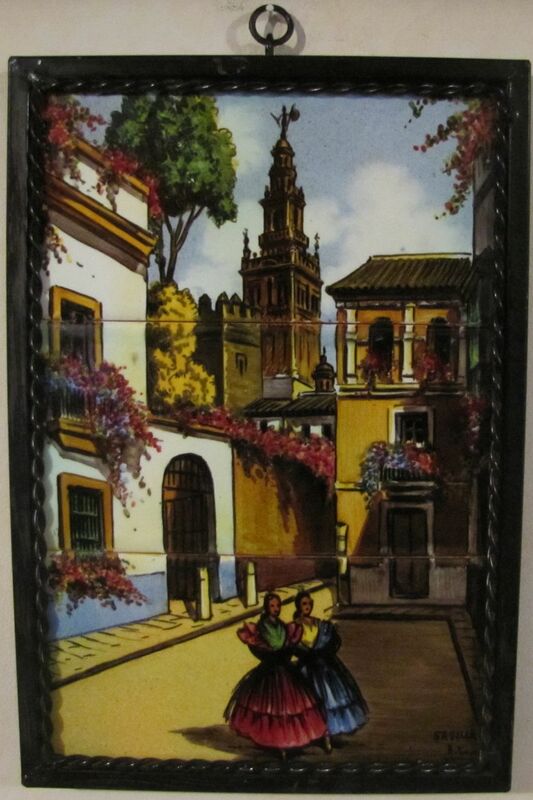 This is a vintage mural with three hand-painted tiles of a street scene in Spain with two spanish women. 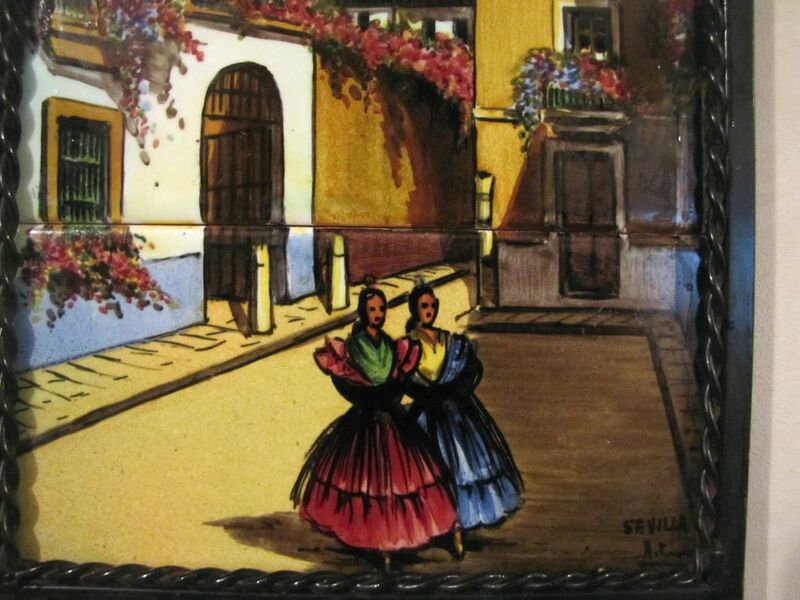 The painting is signed bottom right reading Sevilla and the artist signature (A. Cor???) which I cannot decipher. 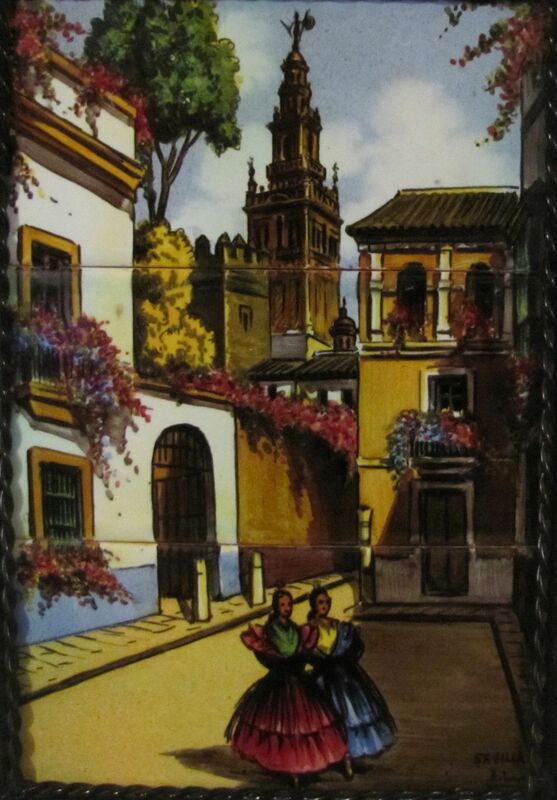 The tiles are framed with a metal frame which has a black wrought iron braiding on the inside part of the frame, a metal loop for hanging and measures 12 3/4" in height by 8 3/4" width. Each tile measures 8" wide by 4" high each. 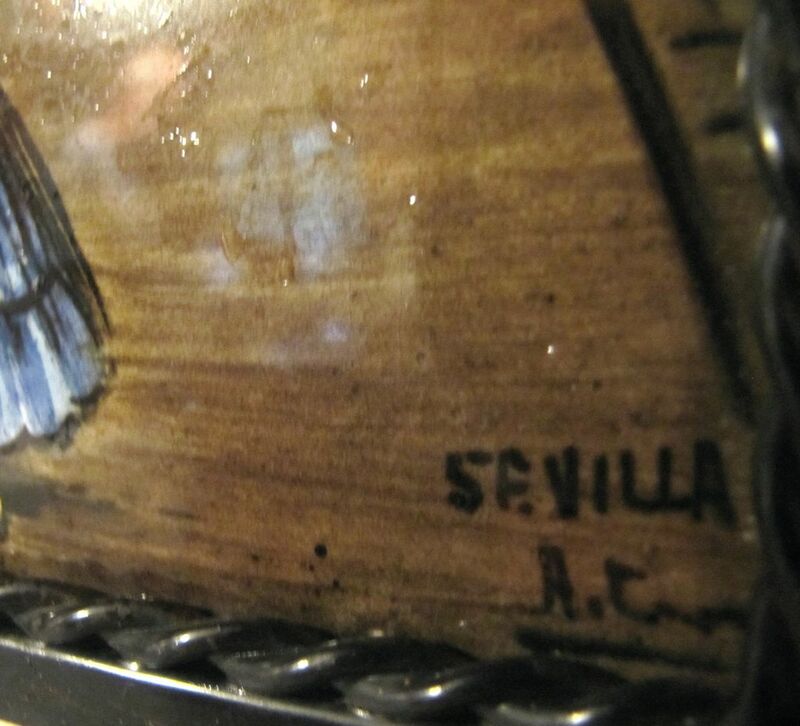 The backs of the tiles are inscribed in a circle reading Made in Spain Onda with a windmill logo. They are vibrant in color and in good condition (please ignore any bright areas on the photos - they are from my camera) with no chips, cracks or fading. 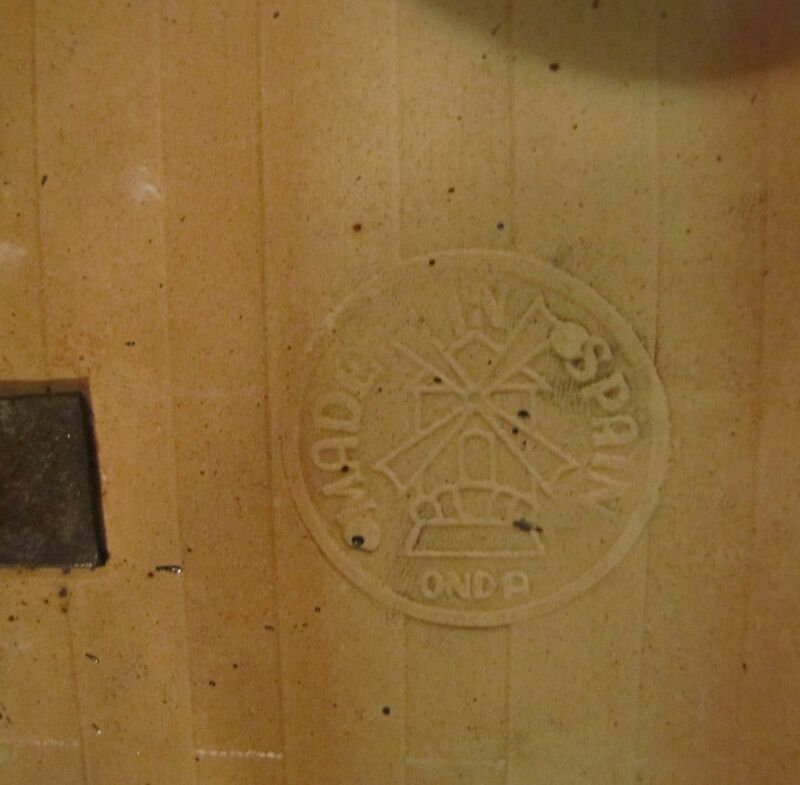 The tiles are held in place on the back with pieces of metal which have been soldered. Also, they are very heavy.